Carina Lau. Ziyi Zhang. Faye Wong. Krishna. Tony Leung. Li Gong. Draupadi. Takuya Kimura. Drama. Art House. Romance. 1960s. 01 Adam's Faves. 01 Nigel's Choice. Recommended. Chow Mo Wan is a man whose painful past has left him wary of love. Now committed only to a lack of commitment, Chow embarks on a series of affairs that promise to fulfil little more than his carnal desire. 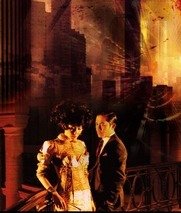 The majority of Chow's passion is devoted to his Science Fiction novel, a tale of characters travelling on a train to the future in order to reclaim their past. Set in the 1960s and following on from Wong Kar-Wai's passionate but ephemeral �In The Mood For Love', 2046 is a ravishing tale of love, loss and loneliness, full of vivid characters both mundane and fascinating. Visually striking and beautifully performed.